At Harry & David, we only create the best and most decadent treats. Take our Ice Cream Parlor Truffles, for instance. 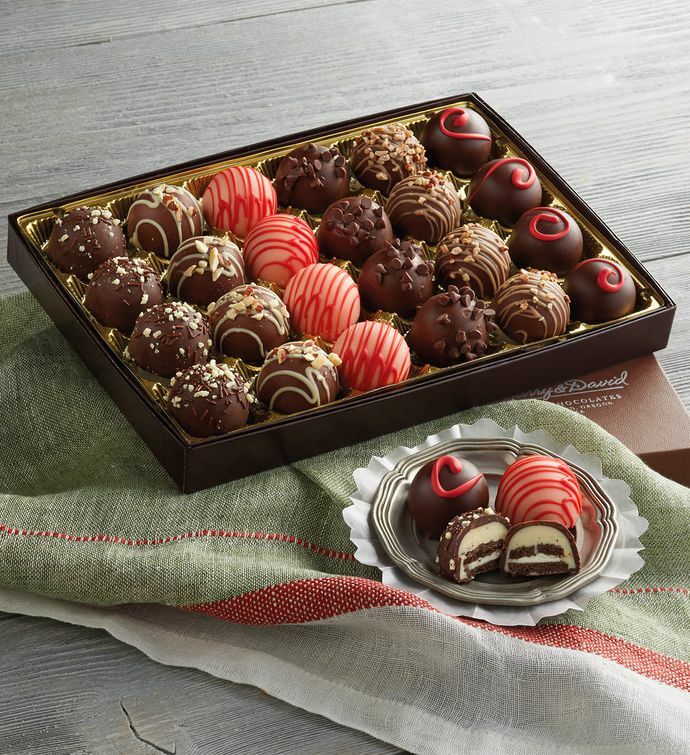 When we think of truffles, we envision smooth gourmet chocolate so rich and exquisite, it literally melts in your mouth. We're also quite fond of ice cream, and pairing some of our favorite flavors with our signature top secret blend of chocolate seemed an obvious decision. These hand decorated truffles are made in our very own candy kitchen in Southern Oregon, and flavors include strawberry milkshake, mint chocolate chip, butter pecan, cookies and cream, rocky road and cherry vanilla.